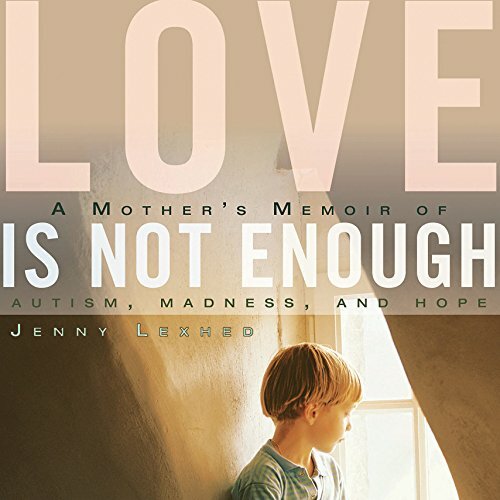 Jenny Lexhed is the author of "Love Is Not Enough: A Mother's Memoir of Autism, Madness, And Hope." The book is a bestseller in Sweden, has been translated into several languages and published in the United States in 2015. Besides having reached a broad audience, the book is used in various educational programs and at universities, in courses like special education, psychology, psychiatry, and others. Jenny has a masters of science degree in business and economics. In 1995 she and her husband founded Talarforum, which today is Scandinavia's largest speakers bureau. Jenny has also studied autism and special education at Stockholm University, Sweden, and is a sought-after speaker and contributor to various publications. She and her family have lived in the U.S. since 2013. Jenny Lexhed gives inspirational and moving talks on autism and mental health. She is an experienced speaker, fluent in English and her native Swedish. She has presented over 100 lectures in Scandinavia and the U.S. tailored to audiences ranging from small groups of 10-15 up to full auditoriums of a thousand. She draws from her own experience and the latest research to deliver her message in a manner that will meet your specific objectives as well as the expectations and needs of your audience. Her talks can be customized in length from 20 minutes to half-day workshops. Keynote presentations are typically 20 to 60 minutes. Jenny loves bringing her message to all groups but she is particular effective as a keynote conference speaker for healthcare organizations, women's groups, (both professional and wellness groups) and educators, including teachers, nurses, therapists, psychologists, psychiatrists, and doctors.